HKS participated in JTC Group A from 1992 to 1993. JTC Group A was considered the greatest form of touring car racing in Japan. HKS battled with R32 GT-R from many works teams head-on, and we won the first victory in the third round of the second race year in SUGO. HKS came from behind in the last lap to win this race. 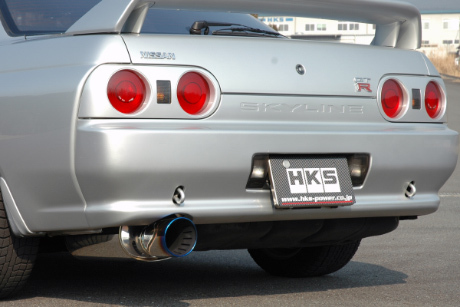 From 1994 to 1996, HKS also participated in RRC and BE Drag series, and "HKS DRAG R32 GT-R" became a champion of the series. 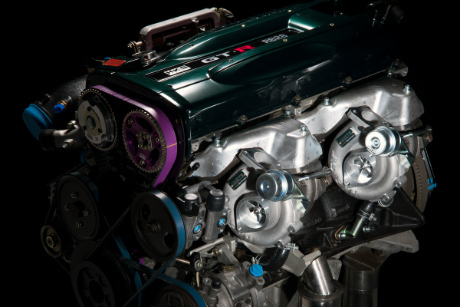 This machine achieved the power and torque to 840ps and 80kgm and won many races in record times. 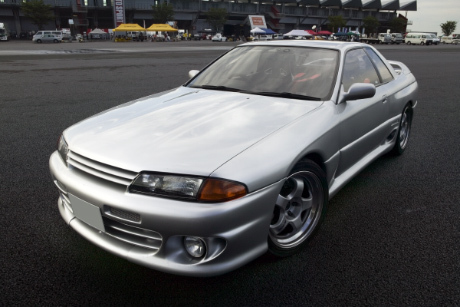 HKS released the complete car "ZERO-R" based on R32 GT-R in 1991. ZERO-R was built to achieve over 270km/h with the cruising performance, driving comfort, and conformity to a safety standard. High power and high durability were focused on, and after 2-year development, ZERO-R passed the modified vehicle inspection required by the Japanese regulation. HKS conducted tests in Nürburgring and autobahn in Germany to improve the perfection as an international spec machine so it can surpass even European complete cars. 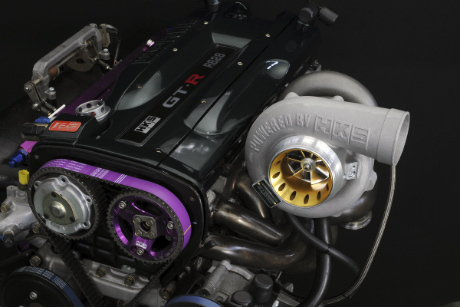 HKS accumulated know-hows through these activities and feedbacks to the RB26DETT products; this is why HKS has become the "tuning leader of GT-R". L-jetro control with the latest airflow sensor enables a linear control at the low to mid speed that might be difficult by D-jetro. 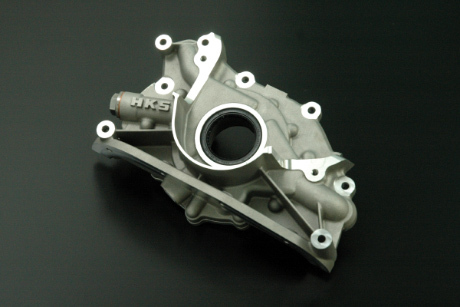 "GT III Turbine" is a new generation of turbo combining MHI brand CHRA with HKS original housings designed from the long term know-how HKS has accumulated over many years. 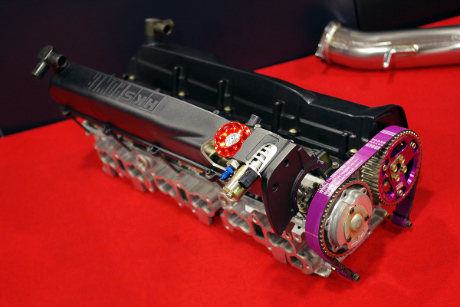 "V CAM SYSTEM" with a variable valve timing system evolves the masterpiece engine "RB26" to the next generation engine. HKS Fuel Pump supplies sufficient fuel for high horsepower and engine rpm applications. Newly designed case shape improves the rigidity and oil discharge amount. 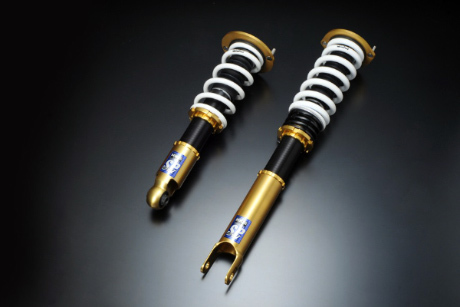 High quality suspension that stable controllability and ride quality are highly balanced. Applications in various ways are available. 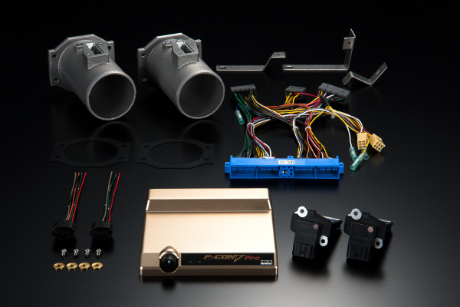 The turbo engine master HKS challenged to implement the optimum, high quality exhaust sound, and great driving feeling by conducting several tests and analysis. R TYPE is designed for circuit use; ideal to use with a stock replacement type turbine to wastegate type large size turbine. For drivers who just need "more power and more torque", HKS offers a series of capacity upgrade kits to suit each engines characteristics. BNR34/BCNR33/BNR32 Actuator included. HKS Extension Kit cannot be used together. (GTIII SPORTS TURBINE KIT) For GTⅢ Sports Turbine Kit. Fuel setting is required. 1407-RN018 FUEL PUMP UPGRADE BNR32 O-ring included. with VALCON type RB26 With "VALCON type RB26". 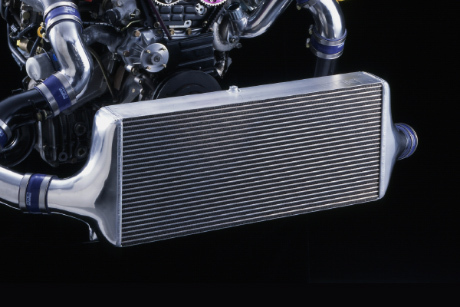 Maximum variance 30°,compatible with stock pistons. with VALCON type RB26 With "VALCON type RB26". Variance 50°, HKS Forged Pistons Required. 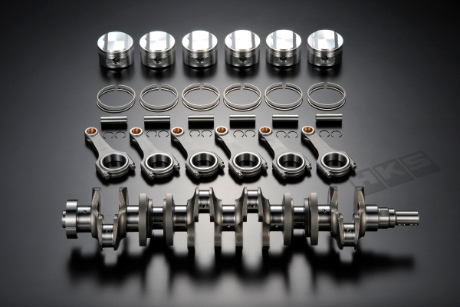 22002-AN036 Vcamshaft RB26 S2 264°IN Only VCAM SYSTEM STEP2. HKS Piston Kit required. with VALCON type RB26 With "VALCON type RB26". Machining hollow camshaft, Variance 50°, HKS Forged Pistons Required. 22999-AN004 VALVE STEM SEAL SET RB26DETT No driving jig. 22004-AN001 SLIDE CAM PULLEY RB INTAKE For intake side. Not compatible with VVT-i camshaft. 22004-AN002 SLIDE CAM PULLEY RB EXHAUST For exhaust side. RB26DETT t=1.2 For φ86 & φ87 piston (Independent Water holes) Gaskets for exhaust manifold, throttle, and intake manifold are included. RB26DETT t=1.6 For φ86 & φ87 piston (Independent Water holes) Gaskets for exhaust manifold, throttle, and intake manifold are included. 2309-RN008 DRAG METAL HEAD GASKET KIT RB26 φ88 t=1.2 For 200kPa(2kgf/cm2). Gaskets for exhaust manifold, throttle, and intake manifold are included. ※Upgraded cylinder head bolt set must be used with this gasket.